If adults can sometimes be unpredictable, young children, when they experience mood swings, can be completely baffling. They may happily hug you at one moment, and then accuse you of being the cruelest mother ever a few minutes later. A child can be happy to play with her young siblings one moment and not be able to stand them the next. At seven or eight, the body has already begun producing the hormones that will peak at puberty a few years later. Children feel all kinds of unpredictable and conflicting emotions at this age that they are not in control of. Here is how you help your child to control their mood swings. Young children do not have fully developed concepts of how other people can have the same feelings that they do. Talking to your child about feelings from a very young age can help, though. The child can learn the words for different emotions and associate them with the right feelings. Before long, your child will be able to think about different feelings and understand how her moods and feelings may affect others. A child who has had an early start in this way will be much more reasonable at seven or eight. Young children often do not like to share everything that happens to them through their day. They could have a problem with their friends, their lessons, or trouble with a playground game. Whatever the problem is, it is usually a good idea for parents to not push too hard to know what is going on. If the child is clearly unwilling to talk, you can simply tell her that you are there for her and let her be. You can revisit the problem when she seems to be in a good mood. 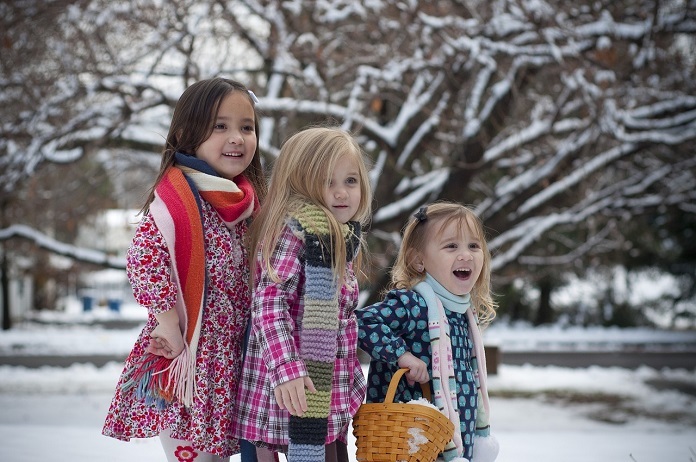 Your child can sometimes be very hardy, choosing to ignore any amount of hardship. At other times, the smallest cut or scrape may make her wail as if she is broken a bone. If a certain amount of pacifying will not help, try to take a walk with the child. Since the cause of her upset is probably psychological, a change of scene and the act of walking may take her mind off the problem. Children can sometimes have a very hard time coping with losing a game or waiting to be picked up. They can react with a complete meltdown of crying and fury. Whatever you do, you should not react with anger yourself. Your anger will only fuel your child’s meltdown and turn it into an ego issue. When she calms down a little, tell her that you understand how emotions can be hard to control sometimes and show her a few ways that she can use to calm down when she feels terrible – listening to music while completely by herself or reading a nice book. At times, your sweet, agreeable child may turn completely opinionated and disapprove of everything. If every suggestion is dismissed as boring, stupid, disgusting or hateful, do not engage the opinion. You child does not really think that something is terrible – she just feels bad non-specifically and needs to vent. If it is homework, chores or something else that is important, explain to your child that they are not actually boring, just difficult. She should be strong enough to do them. Sometimes, when you pay close attention, your child’s unpredictable mood swings may actually have well-defined reasons. Some children get completely upset when they are tired or sleepy. In other children, mood swings can be caused by unbalanced nutrition and junk food. You can try to steer your child towards healthier nutrition to see if it changes anything. When children throw tantrums or show other signs of a mood swing, often, it is not entirely authentic. They are only trying to gauge how far they can go and how much power they have. It is a good idea to not indulge your child too much. She should know that she can’t go very far. Even adults sometimes have a great deal of trouble accepting that the people around them do not understand what they want. They think that their expectations are perfectly obvious while they are nothing of the kind to others. With young children, the problem can be even worse. Struggling with their budding grasp of language and human behavior, they may believe they have made something clear without having used the right language for it. If your child seems completely angry about something, consider the possibility that she is just frustrated that you do not understand what she wants. When your child is in a good mood, try to talk about how anger does not really get anyone what they want – that holding one’s anger away and talking, is often far more effective. After helping a child see this hundreds of times, you may get through. Some type of extreme mood swing come from psychiatric conditions such as behavioral disorder, ADHD, and anxiety disorder. If your child’s mood swings seem abnormally intense, you could consult a doctor. You should be wary of doctors who jump to diagnosing psychiatric conditions, though. You should not medicate your child unless several doctors come up with the same diagnosis.